We're just a few weeks shy of the official start of the 2018-19 school year. It's hard to believe how quickly summer has flown by. Our family has kept things pretty low-key this summer, just taking little day trips, and a week at the beach. It's definitely challenging to keep the kids entertained when we're spending our days at home. It gives new meaning to the phrase 'work/life balance.' We've been having a lot of fun with our own projects- updating things in the house, cooking and baking, and enjoying a few crafts and activities. A few weeks ago, the kids were itchin' to go fishin'. It had me longing for the days of simple pond fishing on my grandparents' Missouri farm. We can't fish without permits and tons of gear (and lots of worry from me about kids getting 'hooked.'). A little indoor fishing sounded like a much safer and cost-effective bet! We took a trip to Hobby Lobby and came up with our own little indoor fishing craft and game. It was cheap and easy to make, and the kids had a lot of fun helping to make it, and then playing with it. 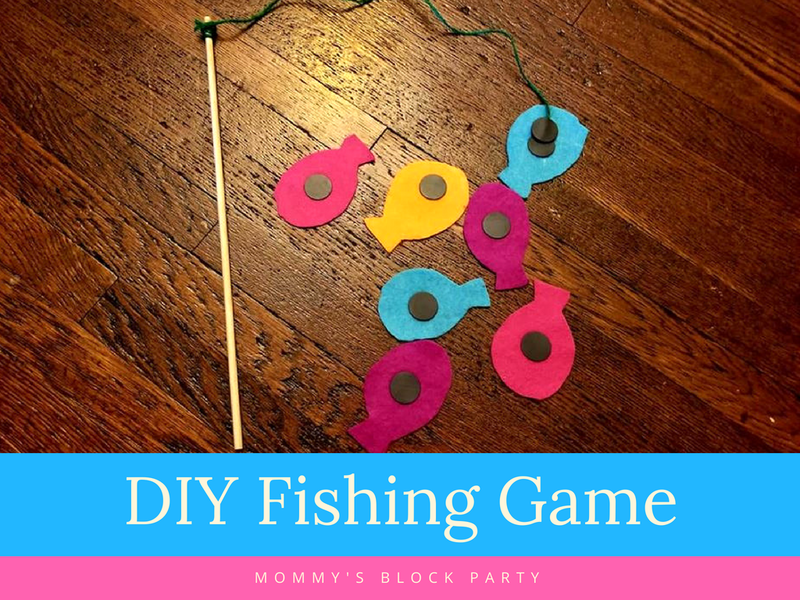 With just a few craft items, you can make a fishing game within minutes! We used four pieces of felt to make our fishies. The kids picked out the colors. 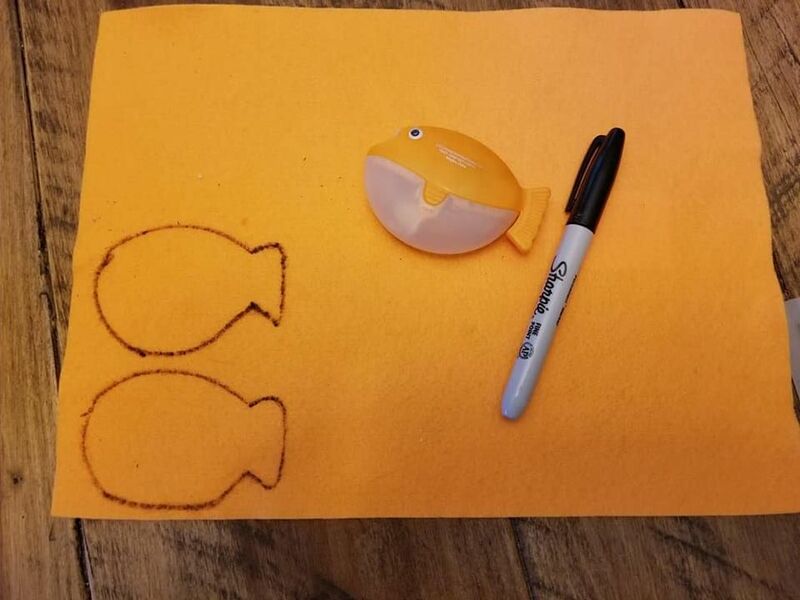 We had a fish pencil sharpener which we used to outline our fish on the felt. You can use any sized fish template you like. Trace the fish onto the felt and then cut them out. B had a great time helping to cut the fishies out. After we cut the fishies out, B helped to stick the magnet dots into the center of each felt fish. Next, we tied a piece of string onto each dowel rod and adhered the magnet dots to the end of the string. 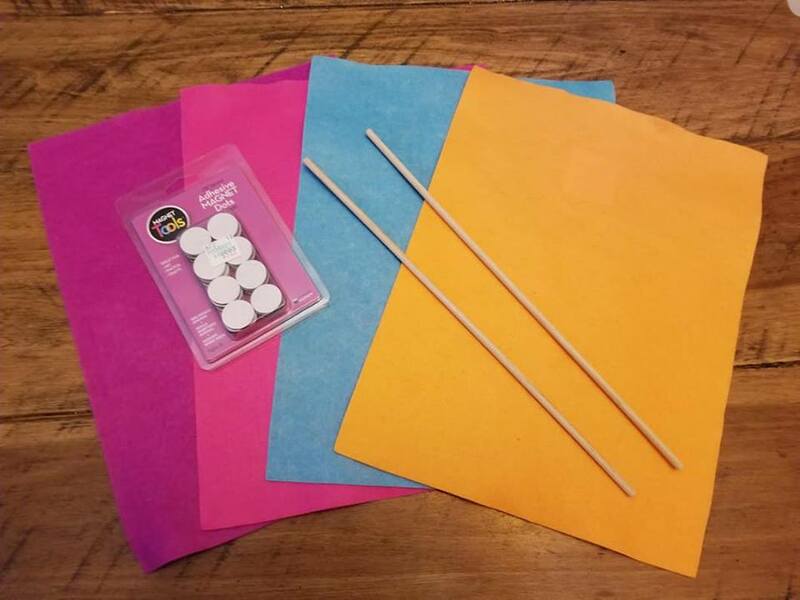 A fun, educational game for kids of all ages- that they can help make! A fun game that helps with color recognition, sorting, counting, and more! We made a whole lot more fishies than all that you see pictured. The kids had fun using their 'fishing rods' to fish. The magnets picked the fishies right up, and we sorted by colors, put them into number groups, and jumbled them up to do it all again. This game is a big help to me as I work on colors and numbers with S, who is two years old. Even older bro (B) thought the game was fun. 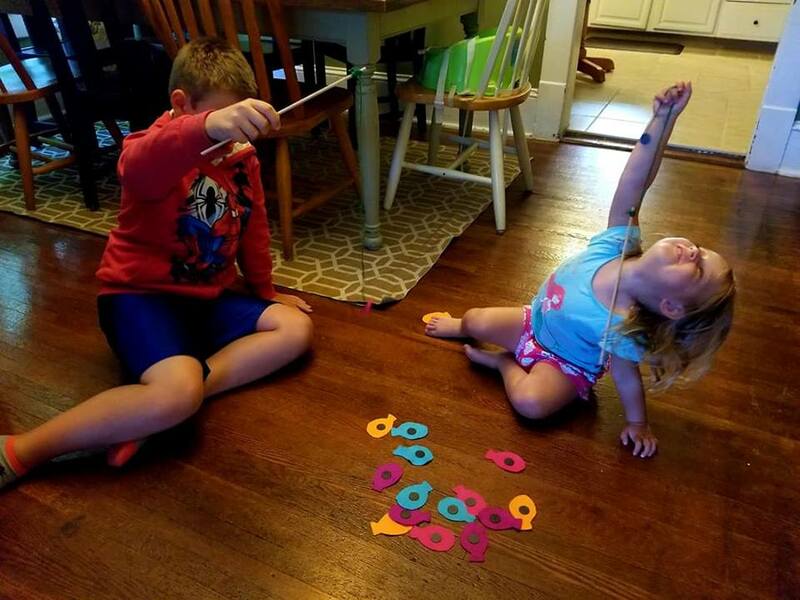 This fishing game is perfect for rainy days, a neat activity to try on your next trip to the beach or lake, or great to use as an educational/teaching tool at home! We had so much fun creating this game! We'd love for you to give it a try!